Total 24. Click in every link for more information. The EU-funded project, PEROXICATS, has developed enzymes with diverse properties to substitute harsh chemicals in more sustainable and environmentally-friendly oxidation processes. Read more about the project story on Horizon 2020 website at the link below. The roots of the Oxizymes meetings go back to Cassis, France, where the first meeting, focusing on laccase research, was held in January 2002, gathering a relatively small group of scientists. In the next OxiZymes meetings in Naples and in Oeiras, the scope has been extended from fundamental and applied aspects of laccases to oxidative enzymes in general. Thus OxiZymes has been established as a platform for scientific discussions and exchange for research focusing on oxidoreductases. In Leipzig in 2010 it hosted for the first time the International Symposium of Peroxidases, especially focusing on the most recent scientific progress related to structure, function, production and applications of peroxidases. The main intent was to bring together both meetings that had a lot in common with the ultimate goal to combine research activities on oxidoreductase enzymes and to benefit from expected synergies. The benefit for the research community was evident, therefore also the meeting in Marseille in 2012 continued to host the Peroxidase Symposium. Finally, it was decided to combine both meetings to attract an international scientific community interested in all kinds of research on oxidoreductases. OxiZymes in Vienna (July 1st-4th, 2014) will therefore cover recent developments on various copper-dependent enzymes, flavoenzymes, heme peroxidases, catalases and related heme-dependent enzymes. ANQUE- ICC-BIOTEC 2014 Congresses on Chemistry, Chemical Engineering and Biotechnology, a meeting point of scientific and technological new trends in "Science, the Key for a better life". The main targets of this singular Event will be: advanced research and technological applications of new raw materials; new processes; new to conduct advanced chemical reactions and advanced catalysts; biotechnological advances in production of energy and products, as well as in health, environment, agriculture, food, bioinformatics and society. The Biotechnology Center of the University of Concepción, invites you to participate in the Lignobiotech III Symposium, to be held in October 26th to 29th, 2014 in Concepción, Chile. 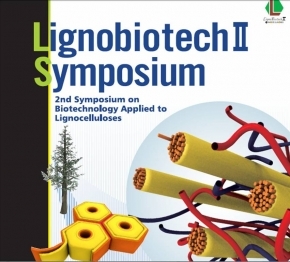 The third edition of ‘Lignobiotech’ will examine the biotechnology and related sciences of lignocellulosic biomass for pulp, fuels, chemicals and materials, including fundamental, applications, economy and environmental issues. The evolution from the International Conference on Biotechnology in the Pulp and Paper Industry ICBPPI to Lignobiotech, was based on the necessity to share the capitalized knowledge on biotechnologies acquired in pulp and paper sector with the community working in the more general field of biomass transformation. The first edition was in Reims , France and the second in Fukuoka, Japan. This third edition will take place in South America, were the forest sector and biofuels have a successful development. The conference will be held in Seville, a Spanish town famous for its monuments, flamenco, sunny weather and the charm of the South. Our Christian, Muslim and Jewish heritage can be enjoyed in some of the most popular monuments in Seville: the biggest Spanish Catholic Cathedral, the “Giralda” tower, the intricated alleys and streets of the jewish quarter, or the magnificent arabic palace “Reales Alcazares”. Other splendid monuments of the rich Spanish history can be found spread all over the city in churches and small chapels. The University of Seville was founded in 1505 and is one the largest in Spain, with about 60,000 students. Seville can be easily reached by air with direct airport connection with many countries or by high-speed train from Madrid, Barcelona, and Valencia. The scope of the conference covers the broad topic of fungal genetics, encompassing among other areas molecular and cell biology, genomics and evolution, biotechnology, and pathogenesis. The programme will include two keynote lectures (opening and closing lectures), twelve plenary lectures, nine parallel sessions, and two poster sessions for more informal discussions. These sessions will be complemented with workshops, which will be held prior to the main conference. The organizing committee looks forward to welcoming you in Seville, Spain, in 2014. The 5th Congress of European Microbiologists (FEMS) will be held in the interesting city of Leipzig from July 21-25, 2013. FEMS brings together 46 member societies from 36 European countries, including over thirty thousand microbiologists. This important microbiology Congress will provide an interesting forum for thousands of European and other international colleagues to appreciate the current state of the art in microbiology during numerous symposia and workshops led by prominent scientists in their field. The meeting will be a chance to discuss solutions to future challenges and to provide topical coverage of key disciplines. Special attention will also be given to young scientists by providing an important number of grants allowing them to attend the Congress. The 5th Nordic Wood Biorefinery Conference will present the latest ideas and developments in biorefinery separation and conversion processes as well as new biobased products from the wood biorefinery: energy, chemicals and materials. 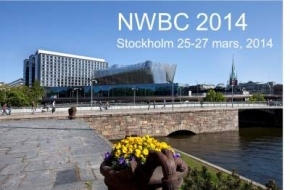 NWBC will gather expert speakers from the chemical, energy, pulp and paper industry as well as recognized representatives from the global research community. A call for papers (oral presenations and posters) has been submitted in Spring 2013 (see the Conference website for deadlines). 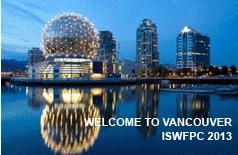 Researchers around the world are invited to the 17th International Symposium on Wood, Fibre and Pulping Chemistry in Vancouver, BC, Canada to present their work on new fundamental and applied knowledge in the chemistry of utilization & processing of wood and lignocellulosic fibres. The second edition of LignoBiotech will be held in Fukuoka, Japan, in October 14-17 2012. The conference will encompass rapidly growing research activities in all biotechnology and related sciences of lignocellulosic biomass for fuels, chemicals and materials. For more info please download this brochure. 300 million years ago, the Earth suddenly interrupted massive production of coal. This fact determined the end of the Carboniferous, a period of the Paleozoic Era that had started 60 million years before, characterized by the successive formation of large carbon beds arising from accumulation and burial of ancient trees growing up in vast marshy forests. An international scientific team with participation of the Spanish Research Council (CSIC) has found out that the end of this coal age coincided with the origin of a group of highly specialized fungi. The results, published in the last number of Science, indicate that these organisms developed a system for the efficient decay of the vast extent of plant biomass that had colonized terrestrial habitats. “These primitive organisms, basidiomycete type fungi, had developed a mechanism based on enzymes capable of degrading a barrier extremely recalcitrant until that moment: lignin. This polymer, present in wood, provides strength and rigidity to the trees and makes vessels impervious enabling distribution of water and nutrients throughout the plant”, explains one of the authors, CSIC researcher Ángel T. Martínez. Researchers have made this finding after comparative analysis of 31 fungal genomes. The study has allowed determining the mechanism that was employed by these fungi to degrade lignin. “This process is based in the production of a type of complex proteins named peroxidases, acting in synergy with other oxidative enzymes. We managed to establish the evolutive pathway and chronology of the different types of peroxidases responsible for lignin biodegradation. Moreover, the results have revealed the existence of peroxidases barely known up to date”, says Martínez, working at the Biological Research Centre of CSIC. The enzymes found could be used in the future development of new industrial biocatalysts. The new enzymes will be expressed in model microorganisms and further purified, characterized and modified by protein engineering techniques. “The same biological agents responsible for coal production decrease during the Carboniferous could nowadays allow us developing biotechnology tools aimed to the sustainable production of biofuels and other products from the renewable feedstock provided by plant biomass”, points out CSIC researcher. These studies will be carried out in the frame of the European Project PEROXICATS (www.peroxicats.org), coordinated by CSIC with participation of researchers from the Biological Research Centre (CSIC), the Institute of Natural Resources and Agrobiology (CSIC) and the Institute of Catalysis and Petroleochemistry (CSIC), amongst others. The project counts also with collaboration from a German university and two private companies. Lignin depolymerization in nature is efficiently carried out by white-rot fungi, a group of basidiomycetes producing wood decay. Genomic (transcriptomic and secretomic) analysis of Ceriporiopsis subvermispora, a fungus producing selective lignin degradation, compared to Phanerochaete chrysosporium, that simultaneously breaks down lignin and cellulose, has revealed important differences among the genes encoding ligninolytic enzymes present in both genomes, sequenced at the Joint Genome Institute (JGI) of the U.S. Department of Energy. CIB researchers Angel T. Martínez, Elena Fernández-Fueyo and Javier Ruiz-Dueñas have participated (the two latter as first authors) in this international study recently published online in the Proceedings of the National Academy of Sciences *. The interest of the U.S. Department of Energy in this type of studies is related to the use of ligninolytic microorganisms and their enzymes in sustainable production of biofuels, chemicals and other products from plant biomass. 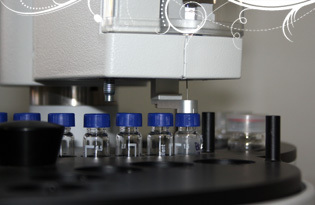 The research carried out at the CIB is co-funded by the European Union in the frame of the CSIC coordinated PEROXICATS project (www.peroxicats.org) for the development of enzymatic biocatalysts. A press note referring to this study has been released at the JGI website during the Annual Users Meeting, with participation of two of the CIB researchers. * Fernández-Fueyo E, Ruiz-Dueñas FJ, Ferreira P, .... , Martínez AT, Vicuña R, Cullen D (2012). "Comparative genomics of Ceriporiopsis subvermispora and Phanerochaete chrysosporium provide insight into selective ligninolysis" Proc. Natl. Acad. Sci. USA, doi: 10.1073/pnas.1119912109. The EWLP 2012 - 12th European Workshop on Lignocellulosics and Pulp - is following the successful, over 20 years history of the EWLP workshops. The aim is again to assemble in Finland a fruitful combination of multidisciplinary experts around the exiting field of lignocelluloses research. 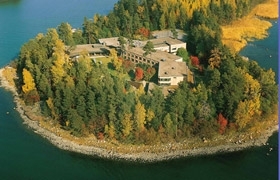 The workshop will take place in a peaceful and scenic location at seaside in Espoo, not far from Helsinki downtown, on August 27-30, 2012. A three-day scientific programme focusing on the latest topics and scientific achievement will be complemented with a networking social programme. Abstract submission and registration now open. 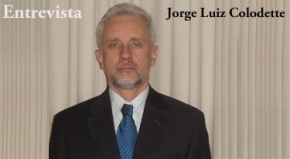 An interview to Prof. Jorge L. Colodette from the Federal University of Viçosa has been published in Celulose Online, a Brazilian website dedicated to news related to the pulp and paper sector in Brazil. Prof. Colodette is the Coordinator of the IP LIGNODECO, an FP7 funded project with participation of three PEROXICATS partners. 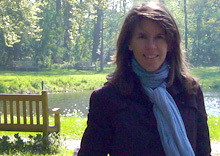 During the week of 9-13 May 2011, Prof. Colodette will be coordinating the 5th International Colloqium on Eucalyptus Pulp, to be held in Porto Seguro, Brazil, where participation of nearly 500 experts in the field is expected. The 5th ICEP will be held in Porto Seguro, Brazil, in May 9-12, 2011. This event will focus on the integration of eucalyptus pulp mills with liquid and solid fuel production, materials and chemicals units. In other words, the vision of the eucalyptus kraft mill functioning as bio-refinery will be thoroughly discussed in this important event. You can visit the website (www.5thicep.com) to learn more about the Program and how to register. 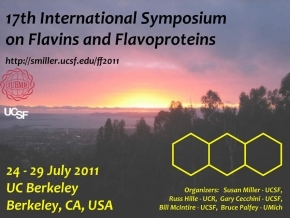 Now in their 5th decade, the triennial International Flavin Symposia highlight cutting edge developments on flavins and flavoproteins from researchers all over the world. The flavin field is teeming with exciting discoveries of novel flavin-catalyzed reactions as well as surprising involvement of flavoproteins in all manner of cellular signaling, repair and maintenance functions. On the practical side, clever chemists, biochemists and biophysicists are finding imaginative ways to "put flavoproteins to work" as "green" catalysts and as sensitive triggers to control initiation of biological and chemical processes toward discovery and practical ends. The symposium will take place on 24 - 29 July 2011 at UC Berkeley (Berkeley, CA, USA). Click in the external link below for more info. LIGNODECO (or LIGNOcellulose DECOnstruction) is the abbreviated name for “Optimized pre-treatment of fast growing woody and nonwoody Brazilian crops by detailed characterization of chemical changes produced in the lignin-carbohydrate matrix”, a collaborative focused research project dedicated to international cooperation partner countries funded by the EC. The project is run by a consortium formed by two world-leader companies from Brazil (Suzano) and the EU (Novozymes), four EU research institutes (CIB, CTP, IRNAS and VTT) and one Brazilian University (UFV), responsible for project coordination. Click in the external link below to learn more about this project. BIORENEW is the short name for the research project "White Biotechnology for added value products from renewable plant polymers: Design of tailor-made biocatalysts and new industrial bioprocesses", an Integrated Project funded by the EC FP6 with participation of 3 Research Institutes, 11 Universities and 12 Companies from 13 European countries, who have worked together from 2006 to 2010. The link below directs to the project official website from where a Brochure outlining the main objectives and findings can be downloaded. 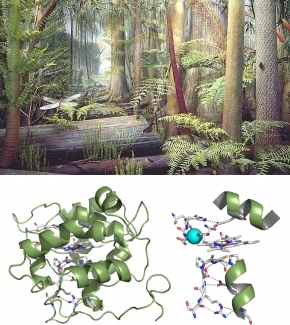 FOLy (Fungal Oxidative Lignin enzymes) is a database that describes oxidases potentially involved in the degradation of lignin and related aromatic compounds. Additionnaly, various linkages exist between lignin and hemicellulases, and lignin and hydroxycinamic acid that are potentially broken by hydrolases, called cinnamoyl or glucuronoyl esterases. This database includes candidates and related enzymes. FOLy provides a classification of ligninolytic enzymes for expert annotation of fungal genomes. The U.S. Department of Energy (DOE) Joint Genome Institute (JGI) was created in 1997 to unite the expertise and resources in genome mapping, DNA sequencing, technology development, and information sciences pioneered at the existing DOE genome centres. With sequencing capacity of more than a trillion bases generated annually, a full fifth of the genome projects at sequencing centers worldwide are done by the DOE JGI. The DOE JGI makes the high-quality genome sequencing data generated freely available to the greater scientific community through its web portal and on public databases. The PDB archive contains information about experimentally-determined structures of proteins, nucleic acids, and complex assemblies. As a member of the wwPDB, the RCSB PDB curates and annotates PDB data according to agreed upon standards. The RCSB PDB also provides a variety of tools and resources. Users can perform simple and advanced searches based on annotations relating to sequence, structure and function. These molecules are visualized, downloaded, and analyzed by users who range from students to specialized scientists. Enzymes catalyze a huge amount of chemical reactions in living organisms, which take place under mild conditions compatible with life, and with exquisite substrate specificity, which permits the simultaneous assemblage of the extraordinarily complex catabolic and anabolic routes that characterize life. Nowadays, the availability of genetic engineering tools permits large-scale production of enzymes and other proteins at low cost by isolating (or synthesizing) the corresponding genes (or cDNA) and introducing them into adequate expression hosts (often filamentous fungi) after their cloning in expression vectors. Simultaneously, protein engineering using rational and non-rational designs permits to adapt these enzymes to the industrial application conditions, and to increase their expression yields. This situation represented a real breakthrough for industrial biotechnology enabling the production of commercial enzymes at very low costs. The enzymatic biocatalysts obtained are often very competitive and more environmentally-friendly than the corresponding chemical reagents, at the same time that their substrate specificity permits to obtain specific products (including stereo-specific transformations) that are difficult and/or very expensive to obtain by pure chemical synthesis. In addition to their traditional uses, e.g. in the manufacture of some food products and in diverse microbiological transformations (e.g. fermentation processes), the last decades have seen how enzymes entered different industrial sectors, such as detergents, food and beverages, textiles, pulp and paper, leather and personal care. Moreover, enzymes have recently started to occupy an important position in the fuel markets, and are slowly entering the market of fine chemicals. Chromatographic analysis of reaction products.